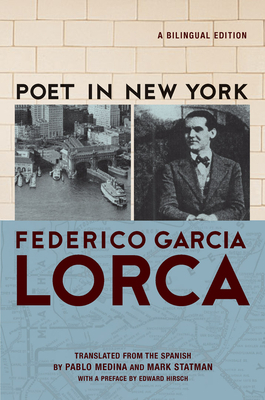 Newly translated for the first time in ten years, Federico Garc a Lorca's Poet in New York is an astonishing depiction of a tumultuous metropolis that changed the course of poetic expression in both Spain and the Americas. Written during Lorca's nine months at Columbia University at the beginning of the Great Depression, Poet in New York is widely considered one of the most important books Lorca produced. This influential collection portrays a New York City populated with poverty, racism, social turbulence, and solitude--a New York intoxicating in its vitality and beauty. After the tragedy of September 11, 2001, poets Pablo Medina and Mark Statman were struck by how closely this seventy-year-old work spoke to the atmosphere of New York. They were compelled to create a new English version using a contemporary poet's eye, which upholds Lorca's surrealistic technique, mesmerizing complexity, and fierce emotion unlike any other translation to date. A defining work of modern literature, Poet in New York is a thrilling exposition of one American city that continues to change our perspective on the world around us.